ED 108, sheet 9, line 51. ED 122, sheet 1, line 44. Biography* � Arkansas Gazette, Little Rock, Ark.. Feb. 23, 1929 -- Star City -- Mrs. M.V. Culpepper, aged 84, died at the home of her son, J.F. Culpepper yesterday afternoon. She is survived by two sons, J.M. and J.F. Culpepper of Palmyra, and three daughters, Mrs. Jennie Mead and Mrs. Ruth Wilson of Pine Bluff and Mrs. Edna Orr, Burbank, Calif.
ED 132, sheet 36, line 81. Joseph J. Culpepper, 1893 Webster Parish, 79.7700 acres/22966730. ED 112. sheet 17, Ward 5. Research note* � Source: STRICKLAND-L@rootsweb.com. E. A. III Culpepper, Son, M, 15, S, TX TX TX, Farm Laborer. McGregor Mirror, 8 Jun 1928. 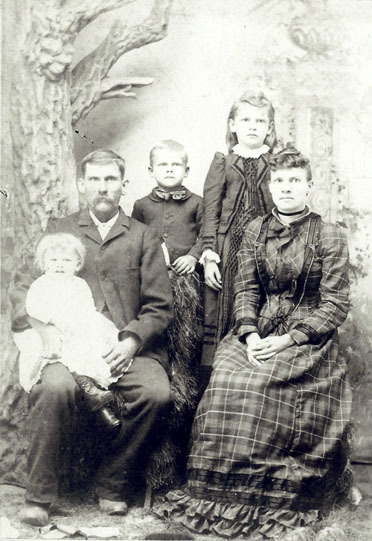 Evan A. Culpepper, Jr., 6 May 1856 – 1 Jun 1928. John W. Culpepper, died 29 Oct 1872, age 11 years, 2 mos., 23 days. 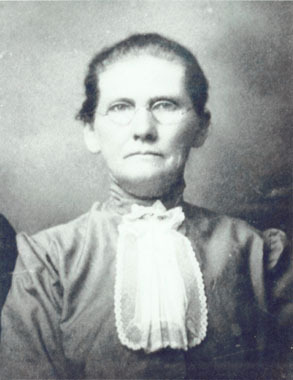 Anna Eliza Culpepper, 14 Sep 1862 – 11 Sep 1953. E. A. Culpepper, Son, M, 26, S, TX TX TX. Anna Ellza Culpepper, died 11 Sep 1953 in Coryell Co., TX. E-mail written 1999 from B. Mann, e-mail address. Margie Grimes Culpepper, Female, Married, died 4 Nov 1965 in McLennan Co., TX. + Margie G. Culpepper, no dates. Frederich S Culpepper, Female, died 31 Jul 1975 in McLennan Co., TX. + Fred S. Culpepper, no dates. Biography* � E. A. was a grocery store owner, farmer, and a Deacon at the First Baptist Church in Moody, TX. He was instrumental in caring for Eagle Springs Baptist Church and Cemetery. Mr. and Mrs. E.A. Culpepper of Moody celebrated their 50th wedding anniversary with a reception in the fellowship hall of First Baptist Church of Moody, Texas. The reception was hosted by the couple's children, Mr. and Mrs. Evan Culpepper of Euless, JoAnn Standridge of Ft. Worth, and Mr. and Mrs. Bill Culpepper of Moody. Culpepper and the former Vena Graham were married in the Moody Baptist Church parsonage on may 18, 1935. Culpepper is retired from the Texas A&M Experiment Station in McGregor. Mrs. Culpepper is retired after 30 years as a first-grade teacher, including 15 years with McGregor Elementary School. Elizabeth Culpepper, Sister, F, Wh, 42, sng, MS/AL/AL. + Elizabeth "Lizzie" Culpepper, Oct. 7, 1887 - Nov. 2, 1957 (Daughter of A. M. and Julia Culpepper).